Case in point No. 9 in this continuing series is cartoonist Don Tobin. 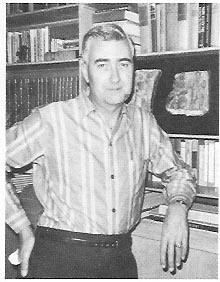 Born in 1916, Tobin worked for a time as a Walt Disney animator. 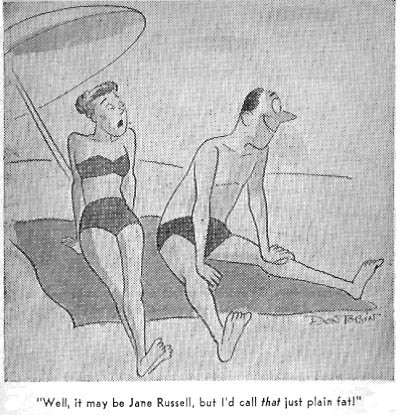 After serving in the Navy during World War II, he tried his hand at gag cartooning and his work soon started appearing in "Collier's", "Saturday Evening Post", "Look", "Ladies' Home Journal" and similar popular publications. 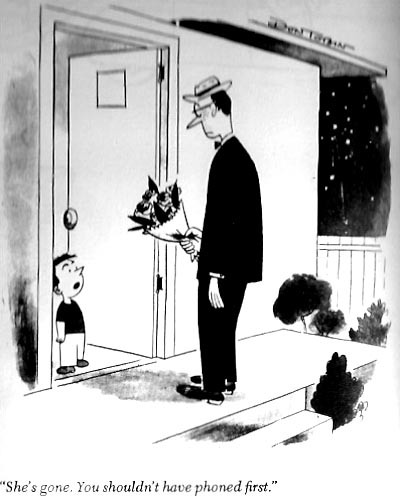 In the 1950's, he created "The Little Woman", which became a long-running King Features syndicated gag panel. 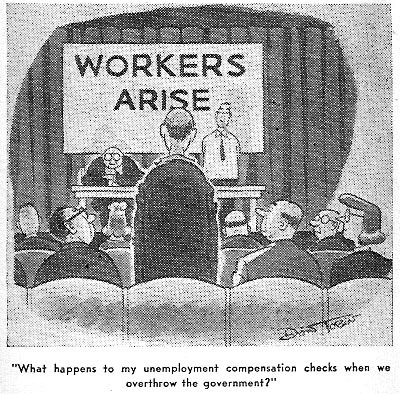 The first early Tobin cartoon I've posted below appeared in "Collier's", probably in the mid-1940's. 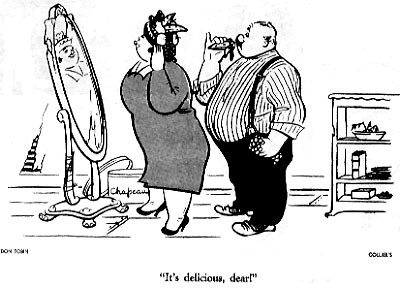 I found it in a collection called "Cartoon Round-Up", published in 1946. I don't think that anyone could possibly attribute this cartoon to Don Tobin, if it were not for his name printed below it. Yes, "we all have to start somewhere". 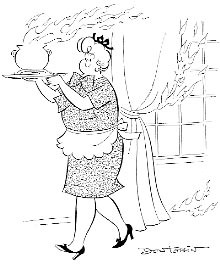 The second cartoon is from "Ladies' Home Journal" and it was included in a hardcover anthology "Cartoon Treasury", published in 1955. The last two cartoons are from "True" magazine. I found them in "Cartoon Laffs", a paperback collection of "True" cartoons which I've mentioned before. The collection was published in 1952 and it's safe to say that these two cartoons date from the late 1940's or very early 1950's.